Chinese culture is ripe with good luck symbols, lucky charms, and rituals said to invoke abundance. Buddhism, Taoism, and other Eastern teachings all suggest that our thoughts and actions can drastically affect what goes on in our lives. But can we impact the outcome of a slot machine, guided by the ancient Chinese wisdom? Some people certainly seem to think so. Skeptics, on the other hand, discard all of these notions as mere gambling superstitions. In the end, it’s up to you to decide whether bowing your head to the Maneki neko, the Chinese lucky money cat, will have the desired effect. Our aim is merely to introduce you to the most popular symbols of good fortune, so you know what options there are in case you’re feeling like your luck’s run out. The Chinese language is fascinating in a multitude of ways. Apart from the fact that it includes over 50,000 characters, what often piques people’s interest is the pronunciation. Eerie similarities between two words with fundamentally different meanings are quite common in their vast lexicon. If you’re wondering what any of that has to do with good luck — Chinese numbers also stem from other words. The meaning behind the word a number originated from is often linked to that specific number. Hence, some numbers are considered more favorable or desirable. This belief is so deeply rooted that they go to lengths to include some of them in their phone numbers and license plates. For instance, the number six is said to be good for business, while eight represents general wealth and well-being. On the other hand, Chinese people often avoid the number four because it sounds similar to the word “death.” They would go as far as to avoid renting an apartment on the 4th floor. 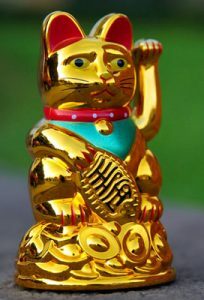 The Lucky Money Cat is one of, if not the most popular good-luck charm in both Chinese and Japanese cultures. Although originating from Japan, this “beckoning cat” is believed to bring about imminent wealth. Most shops, restaurants, and other places of business feature a Maneki neko near the entrance of the establishment. The figurines are primarily made of ceramic, with the prominent colors being white, red, and gold. If you’re looking to boost your luck in games of chance, be on the lookout for this kitty the next time you walk into a casino. You’ve undoubtedly seen these cute frogs holding a coin in their mouths. The Chinese money frog is actually a three-legged toad, resting on a pile of coins. Although western cultures might think of toad as an odd representative of wealth, it makes perfect sense to anyone familiar with Chinese mythology. Namely, the toad is supposed to represent Caishen’s pet, who is a god of wealth. Some variants of the money frog, like Cai Shen Ma, depict the toad as the god. If you’re playing poker or slots at an online casino, placing it in the southeastern area of the room will bring prosperity, at least according to Chinese beliefs. These mesmerizing, colorful fish have been a symbol of wealth, abundance, love, and prosperity in the Chinese culture for centuries. This symbolization likely emerged from people’s observation of the fish’s behavior. Koi often swim in pairs and can grow quite old. So it’s not uncommon for newly-weds to receive plenty of Koi charms as gifts that signify a lasting union. Their amazing ability to reproduce at incredible speeds and in large volumes is the main reason why Koi are also associated with fertility. Buddha is often viewed as a synonym for serenity, calmness, and balance. However, statues of the laughing Buddha also represent happiness, well-being, and abundance. In Feng Shui, this statue is often regarded as a symbol of prosperity. 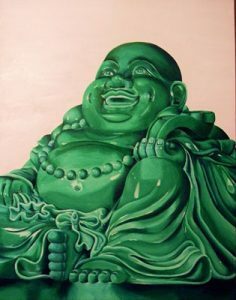 According to this ancient system of laws that govern spirituality and attunement, the Laughing Buddha should be stationed facing the main door, or diagonally from the main entrance, on a corner table. Knots have been a part of the Chinese culture for over a thousand years. Although dating all the way back to Tang and Song dynasties, this tradition has taken off and spread to Japan and Korea during the Ming dynasty’s rule. The Chinese knots are characteristically made out of a single thread and always include a cord, the knot itself, and a tassel. You’ll most often run into red Chinese knots since red is believed to be the color of prosperity, luck, and good fortune. The knots can range in sizes, with some being significantly more intricate than others. Still, all of them symbolize happiness. Additionally, they are used to ward off evil spirits, according to Chinese superstitions. You’ll likely see them in every shop all over China during the Chinese New Year celebration. Feng Shui sees white candles as conduits of positive energy. Lighting these candles is said to bring clarity, boost efficiency, and enhance precision. Placing white candles in your home or work area supposedly alleviates stress, contributes to the lightness of being, and brings peace of mind. We can’t talk about Chinese culture and superstitions without mentioning bamboo. This plant has long since been regarded as the symbol of the strength of both mind and body. Bamboo’s qualities which we should admire and strive towards are growth, resilience, and perseverance. It is also believed that placing bamboo in the eastern or southeastern part of your home will bring about luck and good fortune. 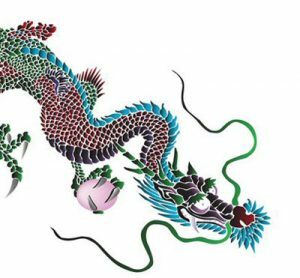 These mythical creatures are seen as supreme beings in Chinese culture and symbolize success, good fortune, and protection. It’s not by chance that they adorn everything from palaces and bridges to walls and even household items. Lucky charms depicting these magnificent beasts can embellish every corner of the house, depending on the particular chi energy a specific dragon is an embodiment of. Yup, believe it or not, the Chinese people do not take salt for granted as some other cultures do. Even in ancient China, salt has had many more uses other than an ingredient in meals. In fact, it is praised for its cleansing qualities and is used in a variety of massages and other treatments. The concept of energy is crucial in most Eastern cultures. In that regard, salt is believed to soak up negative energy, leaving room for the positivity to permeate the air. So if you’re playing games of chance from home, consider sprinkling some before your play session. Who knows, it just might be the edge you need to get out of a losing streak. 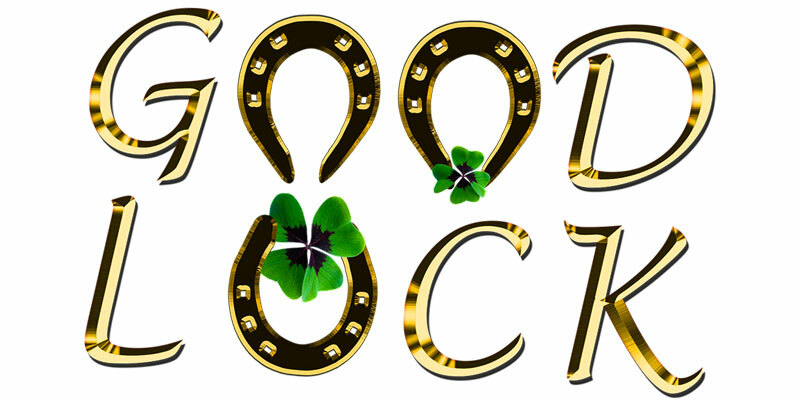 No good luck charm will help you if you break any of the cardinal rules pertaining to Chinese gambling superstitions. There are quite a few beliefs the Chinese hold, but we’ll only go over a few of the most interesting ones. We’re not saying that you should stay away from reading altogether… It’s just that, following the same logic as with numbers and pronunciation, “book” sounds a little too close to “lose” in Chinese. According to this gambling superstition, you should leave reading your favorite novel until after you’ve hit that big win. Chinese gamblers and others familiar with Feng Shui tend to avoid front entrances of casinos. According to legend, Feng Shui masters have cursed these entrances because the very notion of gambling is not in line with their teachings. So if you respect these ancient masters, you might want to opt for a side entrance the next time you venture into a game house. In Chinese culture, washing your hands is equivalent to changing the course of your luck. So if you’re unlucky, prepare for a good scrubbing. On the other hand, if you’re on a winning streak, you might want to stay away from the sink for a while. Admittedly, not washing your hands doesn’t sound tempting by any means. Still, it’s a small price to pay for winning a jackpot, wouldn’t you say? We’re sure you’ve noticed already, but we’ve slowly ventured a bit into absurdity. As we’ve mentioned, the color red represents luck, fortune, and joy in Chinese culture. How this turned into the belief you should wear red underwear while gambling completely escapes us. But hey, it wouldn’t hurt to try. This piece of advice doesn’t mean that you should or can be unaware of whether you’re winning or losing. It merely suggests that you shouldn’t be stressing over the exact amounts. Don’t count the exact amount of money after each spin. Also, don’t despair if you’re losing at first. It’s all about balance, and it’s always better to win in the long-run. Do you feel like you have an unbelievable amount of bad luck when it comes to games of chance? Well, then you should consider walking into the casino’s through the side entrance, while wearing red underwear, and holding a statue of the Laughing Buddha in one hand and the money frog in the other. In all seriousness, there’s no way to know if any of the Chinese superstitions we’ve covered here will help you win some money or not. After all, they are all beliefs. It’s up to you to decide what you want to believe in and what you should dismiss.